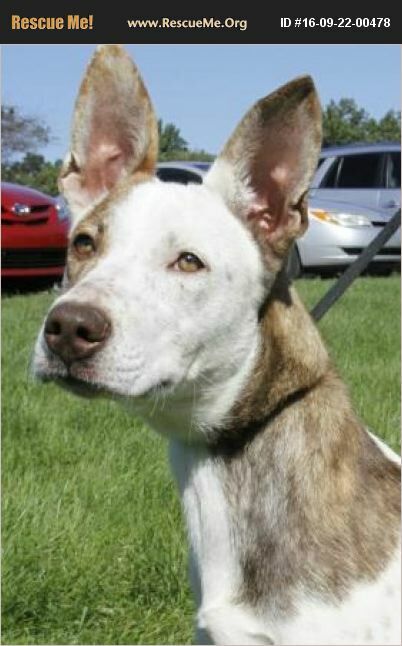 Hey friends, my name are Mya; I am a one year old Ibizan hound mix. I currently weight approx. 50 pounds and may get a little bigger, but not much more. My foster mom says I am a beautiful friendly girl that is curious and super friendly. I love people, kids and other dogs. My manners are a little lacking at the moment but I will be learning those while I am in my 10 week training program. Keep your eyes open for lots of updates on me. I know they won't be disappointing. I'm spayed and UTD on all my vaccines, HW, FT, and have a microchip of my own. RPSM recommends children 6 years and older. I will require a fenced in yard, either physical or underground. If you are interested in adopting me, please go to www.rpsm.org to fill out an application. My adoption fee is $300.